To see the program and lineup of speakers and sessions offered, view the On-Site Program Brochure. Below are PDF versions of presentations from those presenters who shared visual presentations. 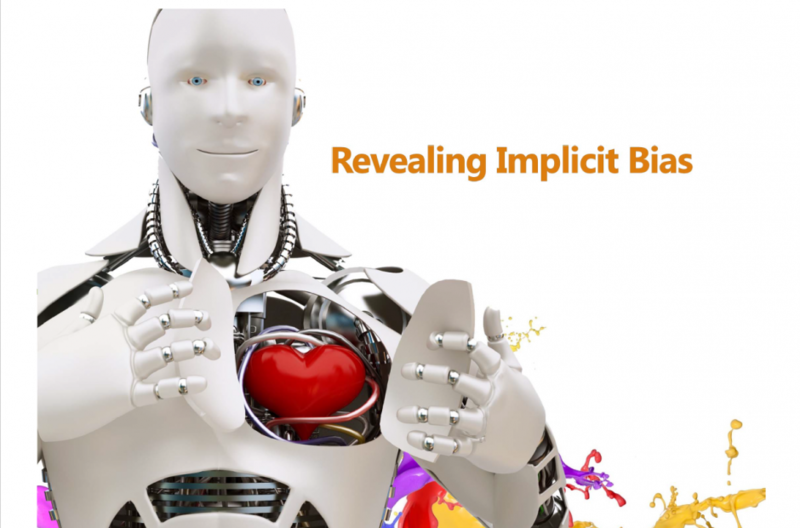 Social science studies reveal that a person’s way of thinking, behaving, and being are deeply influenced by factors such as race/ethnicity, social class, and language. Likewise, the preferred way in which information is delivered or understood is also closely tied to social constructs. Knowledge of history, culture, traditions, and values is vital for us to connect with each other. This workshop will help participants become more effective in working with individuals from different cultures. Join us on a journey through the history, recent accomplishments, and future opportunities to advance elder justice. 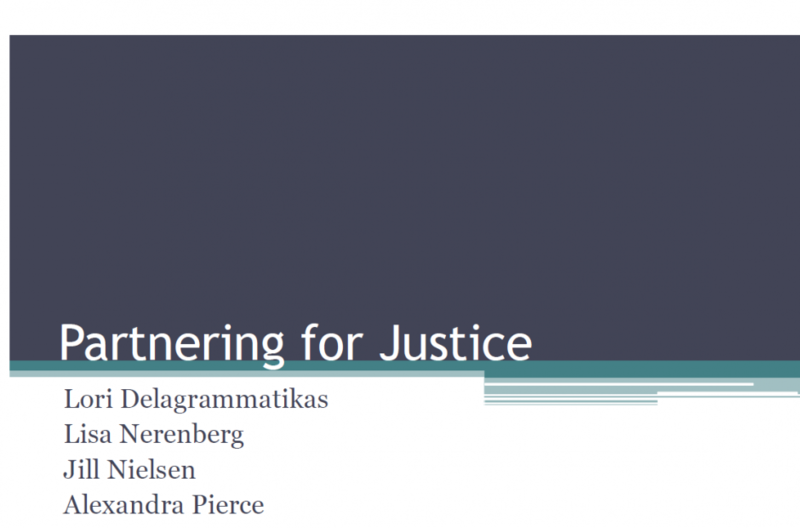 This session will focus on the benefits of partnership and provide examples of how attendees can engage a wider partnership network for elder justice initiatives in their own jurisdictions. The panel features representatives from a county, state and national level. Presentation and panel discussion will include local and statewide awareness strategies, lessons learned, and multi-stakeholder engagement strategies to advance future elder justice initiatives. 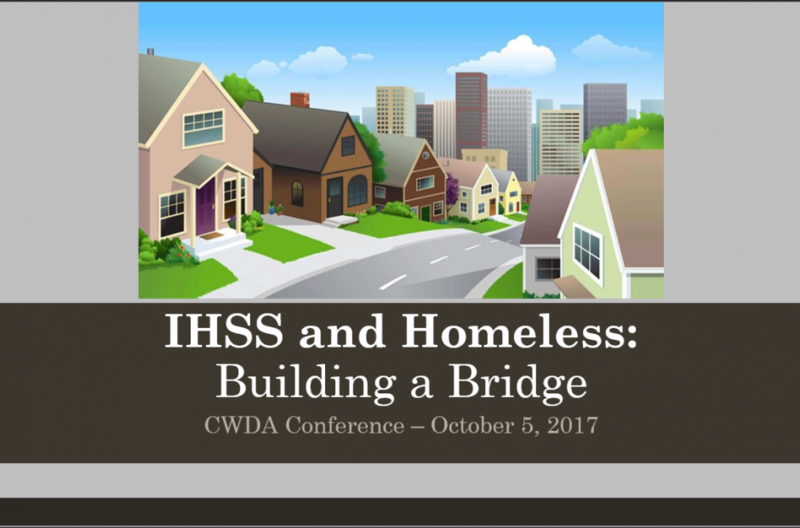 CalWORKs 2.0 is a CWDA led effort to move California’s most vulnerable families forward using a goal-achievement service delivery framework. 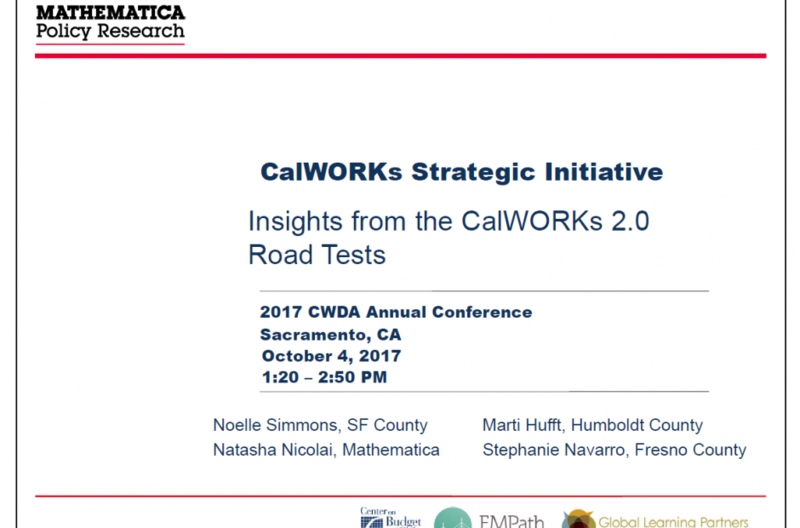 To develop CalWORKs 2.0, a Strategic Initiative team worked collaboratively with counties to learn and innovate around best practices and evidence from the field. For the past six months select counties piloted tools and resources that operationalize the vision of CalWORKs 2.0. During this session team members and road test implementation staff will share their efforts to innovate around sustainable program improvement. Homelessness is a pervasive, multifaceted problem that affects the health and economic opportunities of individuals and families throughout the nation. 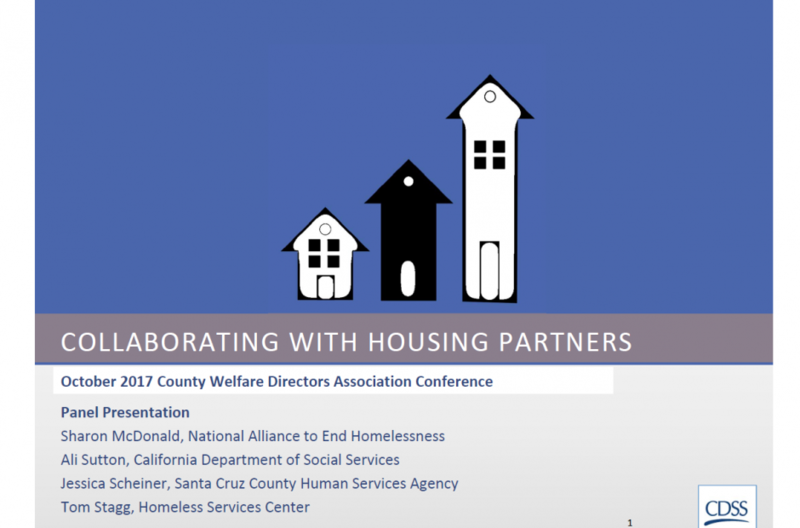 This workshop will provide information on how social service agencies can support individuals and families experiencing homelessness by accessing state and federally funded housing programs and collaborating with housing service providers to implement these program in their local community. Collaboration between the county of San Diego and hospitals in support of hunger initiatives by offering CalFresh as well as Medi-Cal eligibility evaluations. The county of San Diego’s vision is a region that is building better health, living safely and thriving. 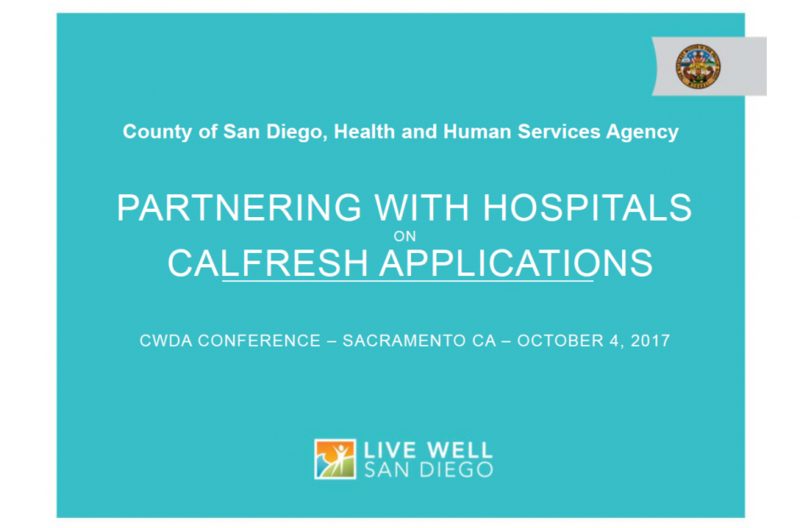 In this session you’ll learn about Live Well San Diego, how hunger impacts health, and how the health and human services agency partnered with hospitals to process CalFresh applications. What role does race and bias play in identifying and engaging youth victims of commercial sexual exploitation? 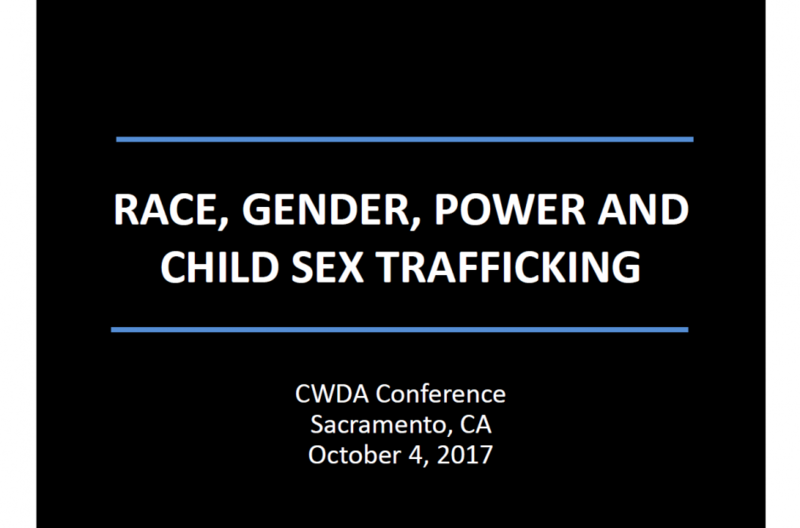 This presentation explores how race, gender and power impact the identification and protection of youth who are sexually exploited. The presentation also includes a discussion to understand and address the role of implicit bias in identifying youth who are exploited, featuring recommendations from a survivor advisory board member of the Commercially Sexual Exploited Children (CSEC) Action Team. 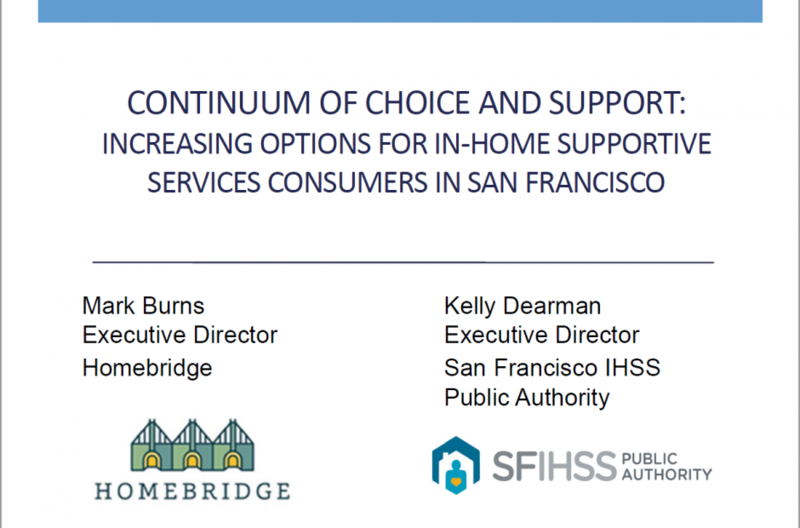 In this session, San Francisco area agencies discuss the county’s integrated continuum of In-Home Supportive Services (IHSS) care supporting a spectrum of consumer choices and needs along with Los Angeles area agencies to discuss the IHSS helpline. California’s older adult population is growing rapidly – and so is the population of seniors in poverty. Older adults living in poverty confront many threats to their wellbeing, including, increasingly, homelessness. 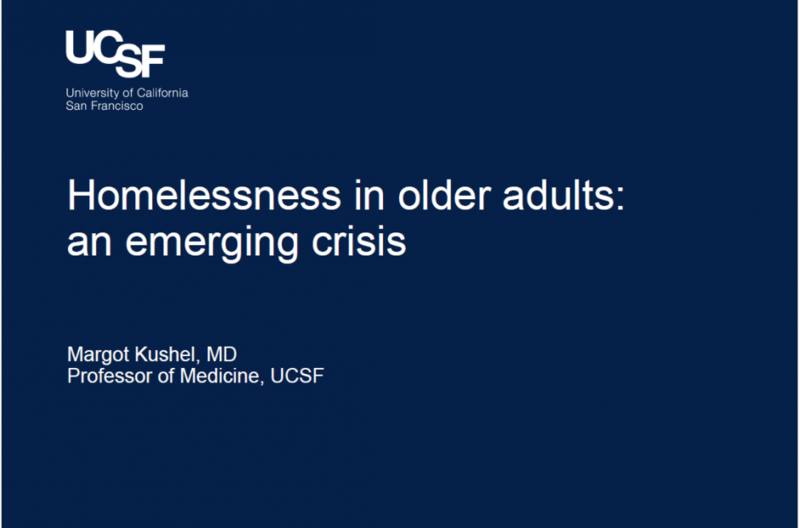 In this keynote panel, Juliet Webb, Director of Tulare County Human Services, will lead Amber Christ, Senior Staff Attorney for Justice in Aging, and Dr. Margot Kushel, UCSF School of Medicine, in a discussion of the state of senior poverty and homelessness in California, who is impacted, how it looks, and what can be done about it. Serving a clientele that often does not have medical or mental health care; we have doctors and case managers onsite at San Francisco General Assistance (GA) and CalWORKs. This allows us to identify clients who have disabling conditions, document their disabilities, and complete successful applications for SSI/SSDI/CAPI benefits. The program was implemented over 13 years ago and now enables over 10% of the county GA caseload to transition to these benefits annually. Come hear how we got started, our keys to effective advocacy, and the benefits we bring our clients and the county. 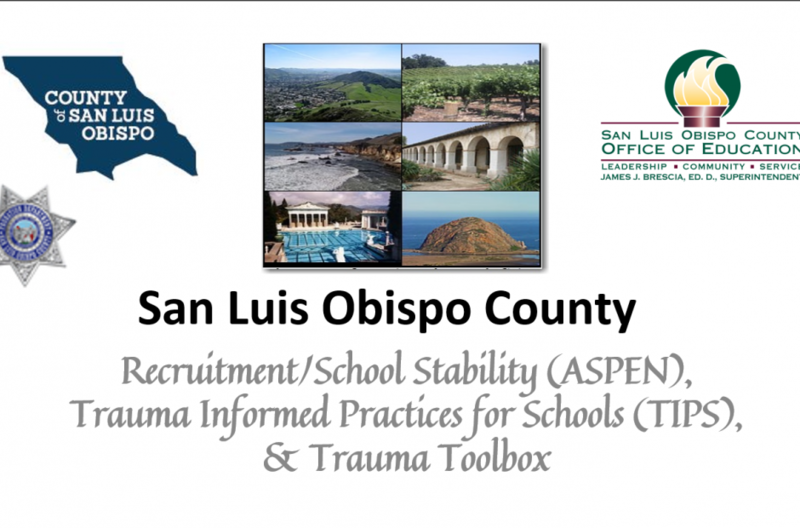 This interactive workshop will discuss the All School Parent Empowerment Network (ASPEN) and the collaborative partnership between the Department of Social Services, Probation and the San Luis Obispo County Office of Education in recruiting resource families in schools to increase the ability of foster children to remain in their communities and schools of origin. 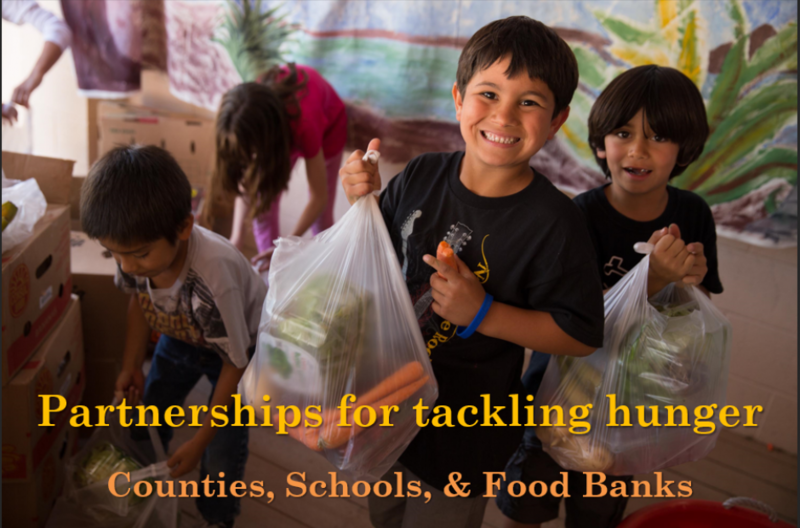 Alameda County Community Food Bank and Oakland Unified School District have worked together for more than 15 years, pioneering new business practices, programming, and messaging to maximize participation in nutrition programs. This workshop will explore the problem of hunger and the opportunity for systems-level solutions. Panelists will also share their experiences in navigating the challenges and reaping the benefits of building high functioning, cross-sector collaborations to reach a broader community of constituents. 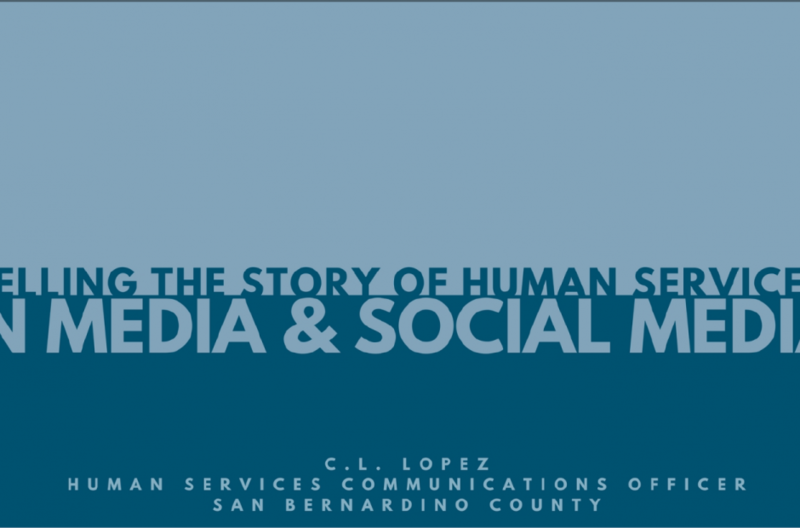 From video testimonies of individuals whose lives have been transformed by social services programs to national media coverage, the San Bernardino County Human Services Communications team has worked extensively to tell the stories of their departments and those they serve. Learn how the team that serves the largest geographic county in the United States has leveraged media relations, video and social media content to create an awareness of their agency’s services. With limited resources, their efforts have successfully generated national media coverage. 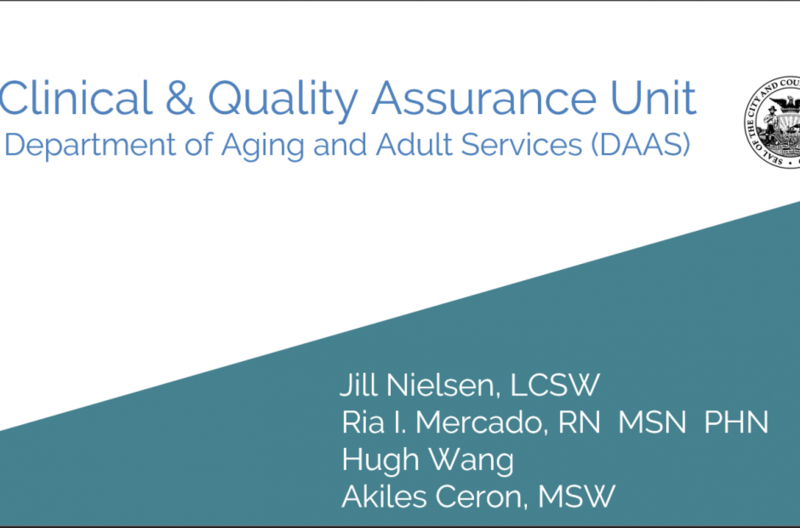 The Clinical and Quality Assurance Unit within San Francisco’s Department of Aging and Adult Services (DAAS) provides critical clinical services to In-Home Supportive Services (IHSS) and Adult Protective Services (APS) consumers. This unit is staffed by Registered Nurses and Licensed Clinical Social Workers that are able to provide medical and behavioral health care support to adults with disabilities and older adults. Recognizing the difficulty of obtaining juvenile records because of confidentiality provisions, this presentation will offer instruction on how to streamline access to protected information, provide a comprehensive overview of the confidentiality statutes related to child welfare records, and discuss who is and is not entitled to access and the method or process of obtaining records. 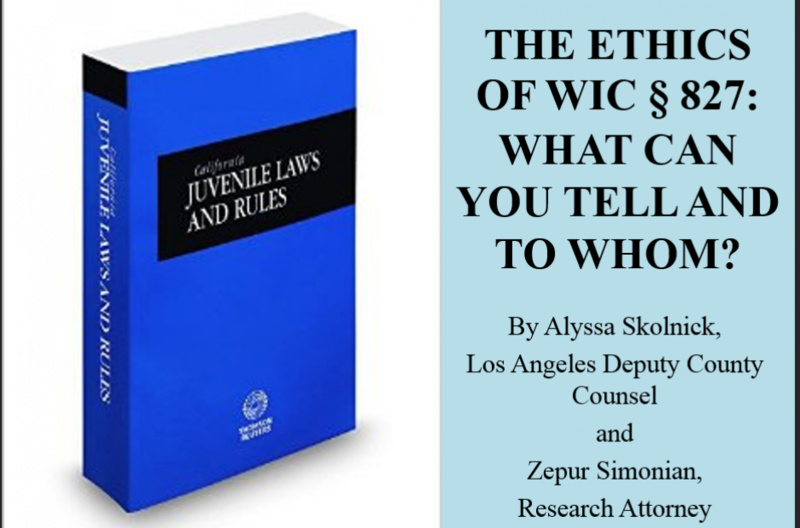 The ethical responsibilities of cross sharing information will be addressed, within and outside of the juvenile court system. 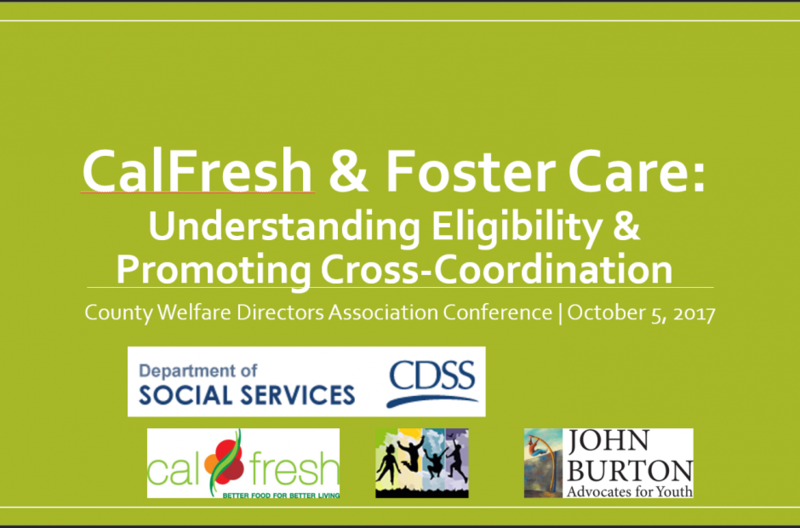 This presentation will provide attendees a general overview of CalFresh and Foster Care with an emphasis on recent changes, such as the extension of foster care to non-minor dependents. The session will provide clarity on current CalFresh policy impacting foster youth, discuss best practices for coordination between CalFresh and Foster Care, and explore policy and community based solutions to address remaining challenges in promoting foster youth access to CalFresh. 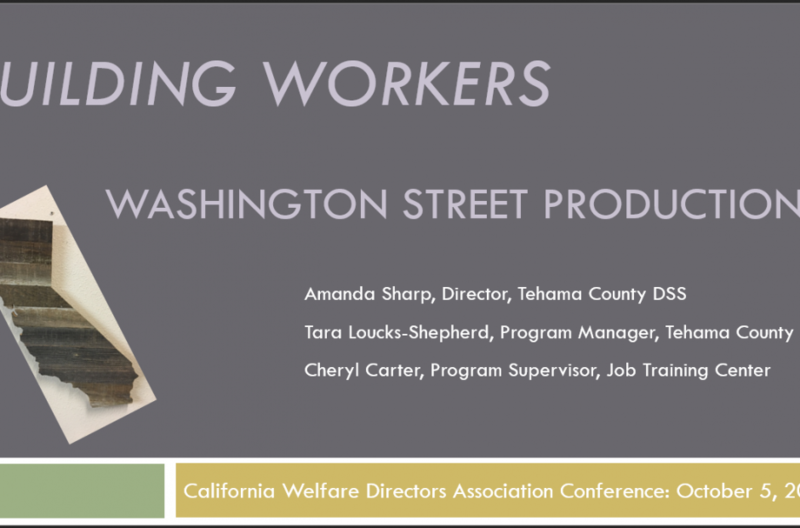 Join us to learn the design and outcomes of California State Association of Counties’ (CSAC) Challenge Award-winning subsidized employment program, Washington Street Productions (WSP). If your agency struggles to meet Work Participation Rate (WPR) and re-engage the hardest to serve in your welfare-to-work program, the innovative partners of Job Training Center and Tehama County Department of Social Services will reveal one strategy: build your own factory! Provide immediate, meaningful work, address barriers and increase job skills in rural or urban communities. A potential pathway to housing? 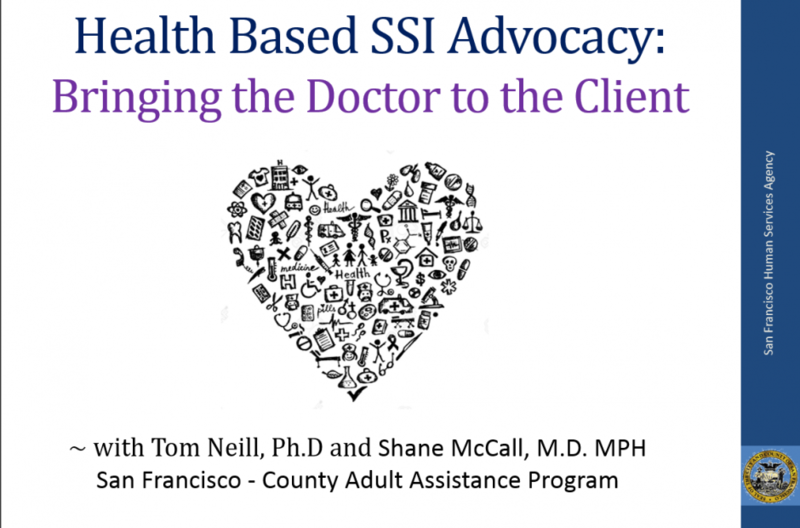 The goal of the presentation is to inform the attendees about a new pilot program launching in Alameda County which seeks to use In-Home Supportive Services as a bridge to housing homeless older adults with family and friends. We want the attendees to understand the research behind this effort, to inform them about the structure of the pilot which involves collaboration with public and community partners, and to explain some initial lessons learned from our beginning months of implementation. 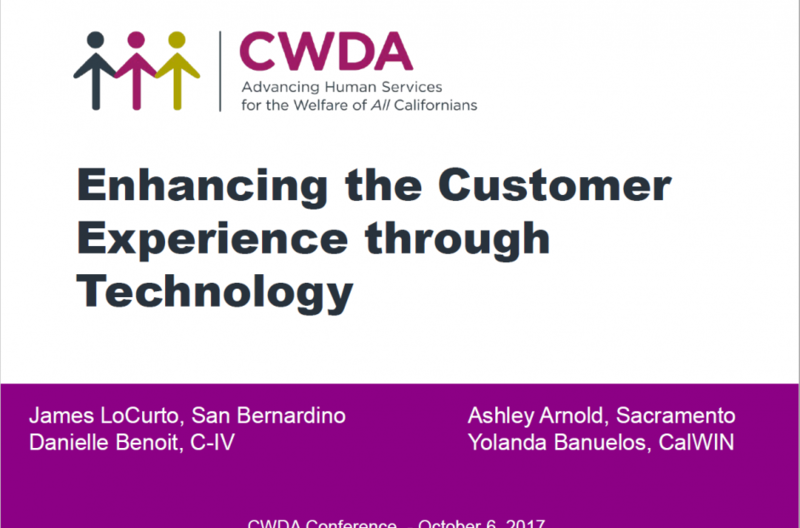 Sacramento and San Bernardino counties will share recent innovations they have implemented in partnership with their SAWS systems, using technology to improve the customer experience. Learn how San Bernardino County and C-IV implemented predictive call handling in the San Bernardino Customer Service Center, and how Sacramento County is utilizing functionality in CalWIN’s online customer portal that allows for notifications, electronic signature and two-way, real time online communication between eligibility workers and their customers. 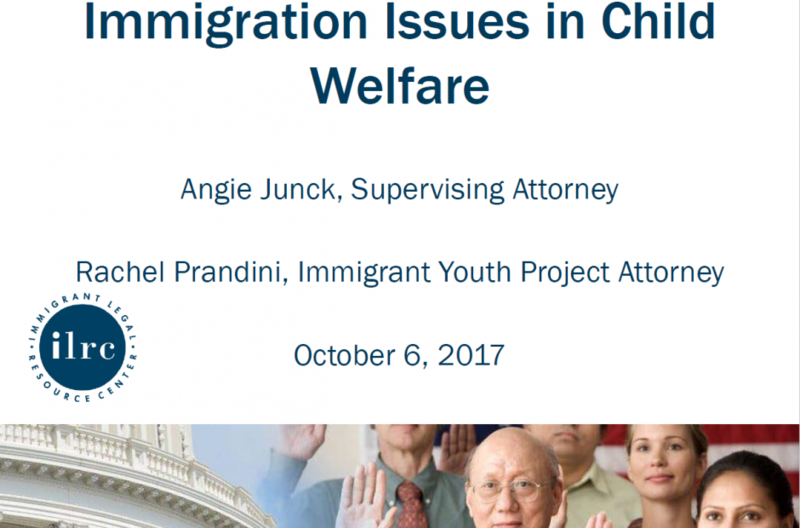 Today’s environment of increased immigration enforcement and anti-immigrant rhetoric often strains the relationship between the child welfare professional and the children and families they serve. This training will provide an overview of recent changes to immigration policy and how they impact children and families, as well as discuss state law and federal policy that governs when parents involved in the child welfare system face immigration detention or deportation. Further, we will cover best practices and policies governing child welfare systems involvement with immigrant families. 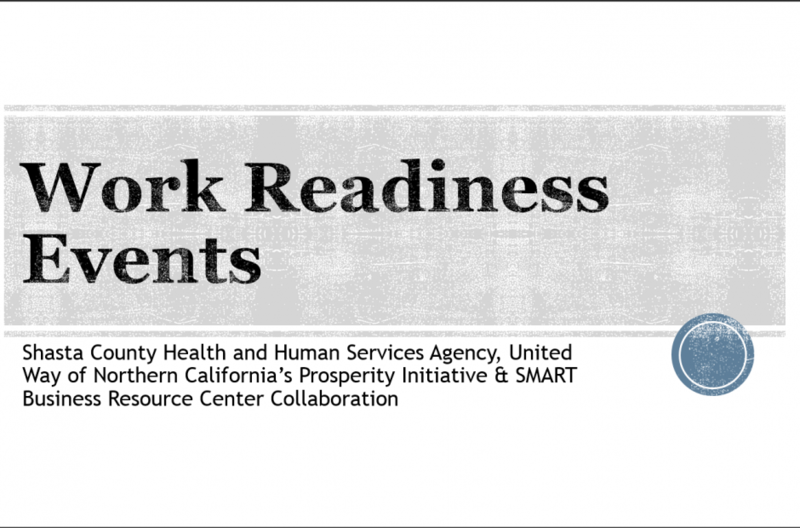 This session will help counties prepare and establish their own work readiness events. Employers have historically reported that many job seekers arrived at job fairs unprepared with no resume, dressed inappropriately and/or lacking interviewing skills requiring counties to develop work readiness events to address barriers to obtaining jobs. These free events are coordinated by the county and community agencies for job seekers to obtain help with resumes, haircuts, interview clothing, interview practice and much more. The event results have been substantial.